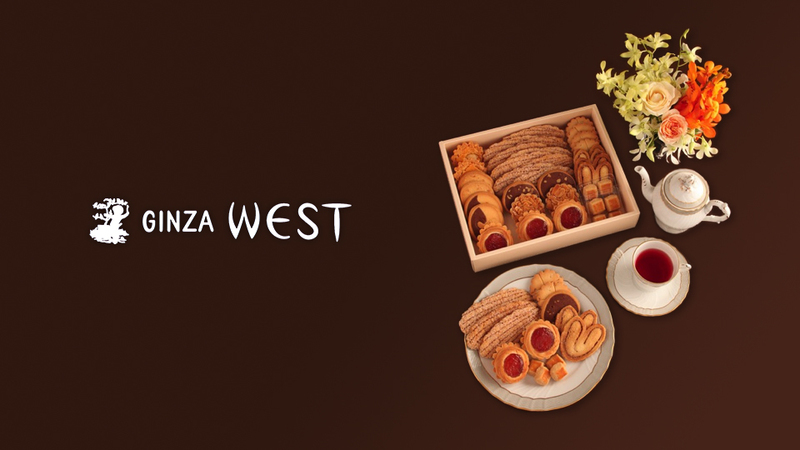 The 24th part in the GINZA×CSR series introduces Ginza West, established in west Ginza in 1947. The elegant tasting confectionery made with quality ingredients and each carefully prepared by the artisan’s hands has fans throughout Japan and even from abroad. We spoke with Ryuichi Yoda, the president of Ginza West. —First, West started out as a restaurant. Later, it became a tea parlor and expanded business to include sale of confectionery. We hear that each and every confectionery are still made by hand. Because of the flavorings added to confections, I think that there are many people who view confections as being made artificially. West has a policy of bringing out the best of the ingredients by not using any substances like artificial flavorings or colorings to the extent possible. We make our confectionery with the subtlety like that of making Japanese wagashi confectionery with the hope of that customers will enjoy the natural tastes of the ingredients. We use delicate ingredients that are difficult for machines to handle, which naturally means that our confectioners make them by hand. Since our confectionery cannot be mass produced and are sold only around Tokyo, we have customers that choose our confectionery as a souvenir from Tokyo. —It’s quite rare these days to find a tea parlor with a classical feel where time flows by gently. That’s true. With the changing times, we have seen a wide variety of tea parlors emerge in town, but we’re continuing to keep this atmosphere unchanged from the past. My predecessor repeatedly told us to “welcome the fact that customers stay longer because it means they find it comfortable to be here. Don’t think just about seat turnover or increasing sales.” All of us here value that approach. —The three-fold booklet of Kaze-no-uta poems that was started at the time of establishment has been continued to this day. Originally, it started out with the name Meikyoku-no-yube for introducing masterpieces in music to be played during the concert time of the store, and to also list poems or essays submitted by the public. The first generation judge was novelist Fumiko Hayashi who had a close relationship with my predecessor. We also had the cooperation of authors like Jun Takami and Sumako Fukao. At present, we select a total of four poems from out of the roughly 60 that we receive each month on average. We receive a lot of poems depicting everyday life that warm our hearts, and there are times when we receive submissions from people living abroad. Kaze-no-uta is published weekly. Its 3,500th issue was published on February 21, 2016. —The Kaze-no-uta is a form of communication with customers, but recently the president himself has been actively communicating using social media. It started when a design firm we work with encouraged me to do so, and I thought I’d learn by watching. Every day, I thought about what information is beneficial to our customers, and then I would write it up during the morning. I do my best to share one thing each day. —Following the Great East Japan Earthquake, you communicated that you would be using food ingredients from Fukushima, and that drew attention. We believed that it wasn’t right to avoid something from Fukushima just because that’s where it came from, even though readings of its radioactivity inspection proved there were no health concerns. And so we announced that we would be using safe food from Fukushima as part of our raw ingredients. In response to that, there was a reaction much bigger than we had imagined. Although there were some critical opinions, most were showed praise or support, and our followers on Twitter increased. —I think it’s common in companies for a PR manager to run the company’s official account, but is there a specific reason that you as the president are committed to communicate using social media? It’s because I feel that it’s best for the one who’s ultimately responsible to communicate. By continuing to communicate every day and year after year, I think people will come to understand who we are and about our thinking, and I think that it helps to build credibility too. We serve what goes into the mouth of our customers. That’s why we believe it’s important to gain their trust, so that they would feel safe as long as it’s something made by Ginza West. With regards to how we determine pricing, we make honest calculations by adding the appropriate profit markup to the purchasing cost. That’s why many of our items are priced down to the fraction. When the purchasing cost of an ingredient increased, we honestly communicated that fact and changed the prices. We have never received any negative responses about that. In fact, our customers have shown understanding and sympathized with us. —Your company is environmentally-conscious as well. We are a small company, but believing that it’s important to “do what we can,” we installed solar power generators on all of the rooftops of our factories a few years ago. All of our stores now have been switched to LED lighting. —What thoughts do you have on the future of Ginza? There are many customers who come to Ginza hoping to enjoy the unchanging charms of the old days. For all of our customers, we are determined to protecting this precious style of tea parlors unique to traditional Japan. After working for a manufacturer, he succeeded his predecessor in 2000 as the second president of the company. In 2014, management philosophy was shared in Ginza West no Himitsu written by author Yuko Kimura. Alterna Co. After working at a foreign-financed IT company and other companies, shifted to work in environmental and social fields after participating in the Conference of the Parties (COP10) to the Convention on Biological Diversity held in Nagoya in 2010 as a representative from an NGO. Involved in interview, editing and writing, development of educational programs, and dialogue-based counseling sessions themed on biodiversity and social diversity.